Take a look at the recap video from an awesome express camp! See you next year! Today at Discovery time, campers learned about the concept of Godly me by hearing the story of David dancing at the return of the Ark of the Covenant to Jerusalem. II Samuel 6:1-19. For breakfast this morning, campers got to enjoy a southern style breakfast with a healthy twist! Campers ate whole wheat biscuits & gravy, and crispy potatoes! Now it's off to discovery time for the final time this week. Tonight at Vesper Hill, campers got their last taste of worship here, and it was fantastic! A group of counselors led camp in song, by singing "There is Something About that Name". Then, campers heard the story of how David spared Saul's life by showing his Godly heart. You can follow along by reading 1 Samuel 24. In today's society, we are often led to believe that repaying evil with evil is how we should respond. However, God calls upon us to do the exact opposite. Repaying evil with good acts is the correct path of action! 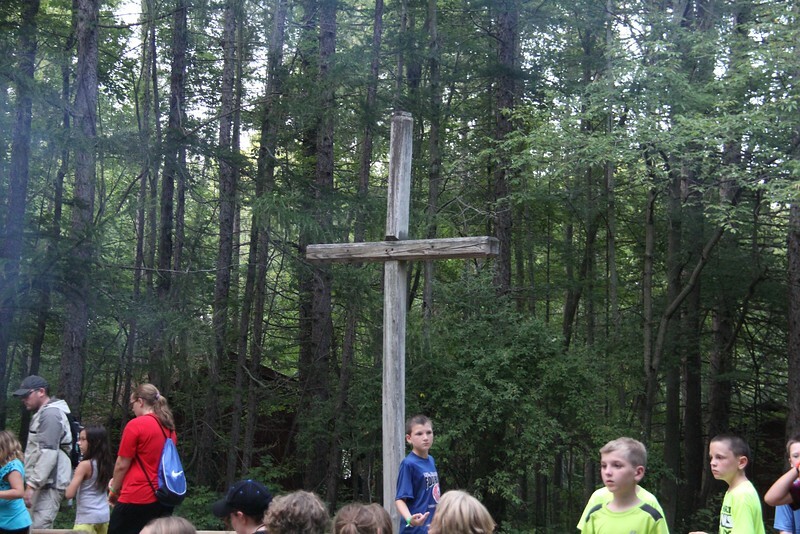 Campers were then given the opportunity to reflect on who Jesus is to them. Tonight, they will talk to their counselors about possibly making Jesus Christ their forever friend. It has been one amazing week here at Camp Lakewood, and God has shined through each and every one of these campers! Take a look at the newest Camp Lakewood game: "Organized Mass Chaos"! For more photos from the festivities, click [here ](https://impact2818.smugmug.com/Camp-Lakewood/Lakewood-2015-July-2629/n-Rjhps5/)! ###Dinner For dinner tonight, campers got to munch on chicken sandwiches, macaroni & cheese, broccoli, and chocolate chip cookies for dessert! It was quite the final dinner here at camp! Take a look at this camper as he jumps off of our raft into our beautiful lake! For more pictures of today's excitement, click here! For lunch today, campers got the full Tex-Mex experience! They enjoyed beef soft tacos, nachos, Spanish rice, and churros! Today, the campers are learning about Godly victory by hearing the story of David defeating Goliath. Follow along by reading 1 Samuel 17. For breakfast this morning, campers enjoyed scrambled eggs, cheesy hash browns, and bacon! It was quite the tasty meal to start off yet another awesome day! Tonight at Vesper Hill, campers got to learn more about how they can serve others, and teach their neighbors about Jesus and his love for all. The music that began worship was "How Great is Our God", and as the campers sang, it was quite clear that the power of God was shining through their many voices! Campers learned that no matter where they live, they can continue to show God's love to others. While doing that, they can also teach others about Jesus and how he loves us unconditionally. 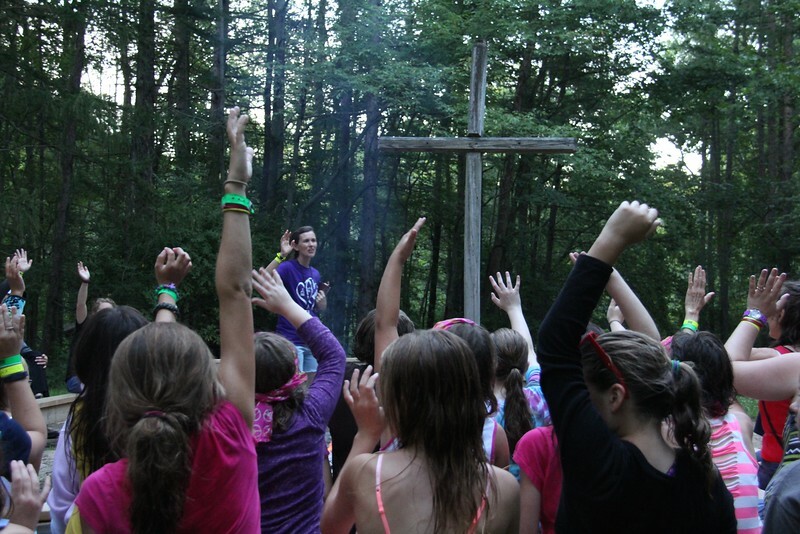 Overall, it was yet another powerful worship service her at Vesper Hill, and it appears as though more and more campers are closing in on the decision to make Jesus their best friend. Now it's off to Cabin devotions before lights out. Another amazing day at Camp Lakewood is in the books! Tonight's evening extravaganza was noneother than the famous Lakewood tradition "Messy Games"! 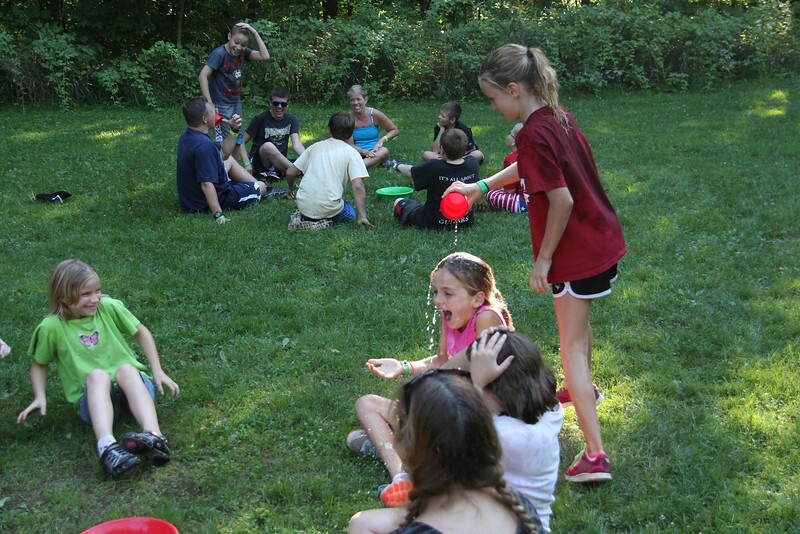 Campers played a variety of fun games, and you can see more photos of the festivities here! For dinner tonight, campers got a taste of Italy in the form of lasagna rollups, breadsticks, and green beans! For dessert, the entire dining hall cheered when they found out that there was chocolate cake! 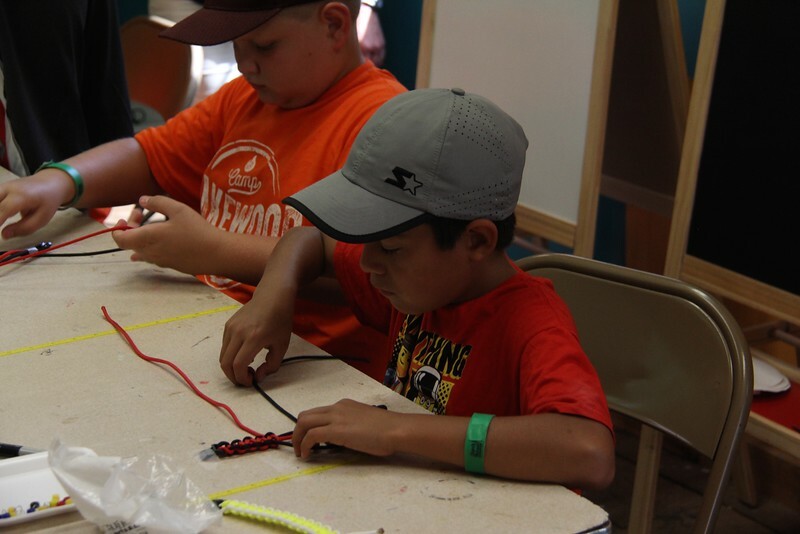 Take a look at this camper as he makes an awesome creation at our craft cabin! For more photos from today's activities, click here! For lunch today, campers got to enjoy corn dogs, tater tots, California blend vegetables, and pears! Now it's off to horizontal hour before an awesome afternoon full of activities! Take a look at these campers as they compete in the rubber duck game while they kayak on the beautiful Lake of the Woods! ###Scripture Focus Today, campers learned about the concept of a Godly plans by hearing the story of Samuel anointing David. Follow along by reading [1 Samuel 16:1-13](https://www.bible.com/bible/111/1sa.16.1-13.niv). At Vesper Hill tonight, campers got their first taste of what worship will be like this week. Worship started off with the who camp singing "How He Loves". The energy was absolutely amazing, and the power of prayer through the act of song was breathtaking. Next, campers learned about King Saul and how as the first king of Israel, he had lost his faith in God. Therefore, Samuel anointed David to be the next king. God has the power to make even the smallest of kids something great! If you simply trust in him, you can do amazing things! 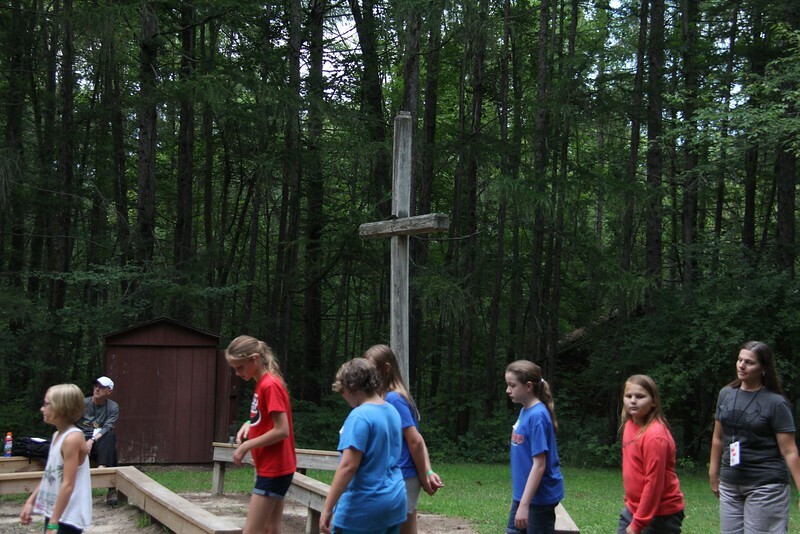 After worship had ended, campers went back to their cabins for nightly devotions. Although tonight's time at Vesper Hill wasn't as long as the rest of the week will be, campers were still able to see how awesome the love of God truly is! For dinner tonight, campers got to chow down on cheeseburgers, french fries, corn, and chocolate pudding! It was quite the meal to start off this awesome week!